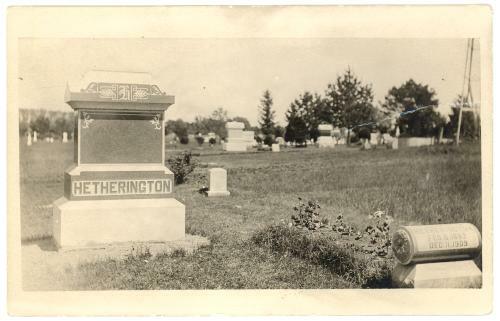 Cemetery monument and marker with the name "Hetherington". Location is unknown. Real Photo postcard, KRUXO (1911-22). Joe Crossley, Photographer, Livermore, Iowa. Light corner and edge wear. Shallow pressure creasing near upper corners.